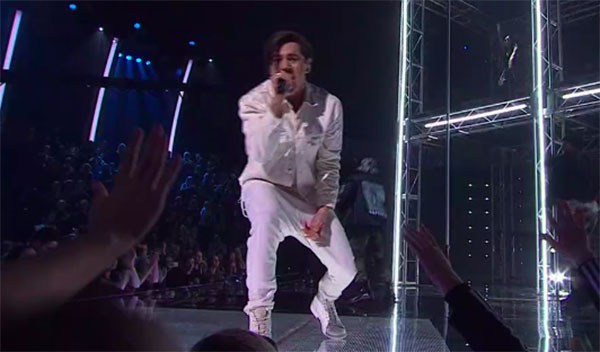 Aydan Calafiore from Team Joe sings “Runaway Baby” by Bruno Mars on The Voice Australia 2018 Grand Finale on Sunday, June 17, 2018. “He’s always been a star. He deserves to win. He is such a artist, you are so talented and full package,” said Kelly. “He deserved every moment. You are super star,” said Delta. “Every week you brought such amazing performances. It’s been an honor to work with you. You are so humble,” said Joe. What can you say about Aydan Calafiore’s performance? Share your comments and views on the discussion box below.